Mrs. Beulah Sparkman Walker, 84, of Farmers, passed away Tuesday, January 15, 2019 at her home. She was born in Knott County, Kentucky on December 23, 1934, a daughter of the late Kermit and Margaret Moore Sparkman. Mrs. Walker had owned and operated a grocery store in Floyd County, Kentucky. 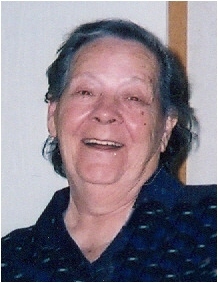 She was of the Baptist faith and she enjoyed reading, cooking, gardening and spending time with her family. In addition to her parents, she was preceded in death by her husband, Raymond “Red” Walker, who passed away on July 22, 2007, one son, Donald Walker, one daughter, Dianna Gore, four brothers, Peanut Coleman, Von Sparkman, Don Sparkman and Lon Sparkman and one sister, Avanell Kidd. Survivors include one son, David (Chelia) Walker of Farmers, two daughters, Deborah Walker of Farmers and Delanna (David) Caraway of Fort Worth, Texas, one brother, Fairl Sparkman of Tennessee, five sisters, Billie Jo Klaiber and Gertie Slone both of Marion, Ohio, Teresa Sparkman of Mt. Sterling, Berniece Coburn of Wolcottville, Indiana and Jayne Martin of Huntertown, Indiana, seven grandchildren, fifteen great-grandchildren, two great-great-grandchildren and several nieces and nephews. Funeral services will be conducted at 1:00 P.M. Friday, January 18, 2019 in the chapel of the Michael R. Gray Funeral Home in Morehead with Rev. Barkley Slone officiating. Burial will follow in the Jones Cemetery at Midland.